On August 21, I had the pleasure of heading to the Harpercollins Canada office in Toronto for their preview event! I had never been to a Frenzy Presents event before so I had no idea what to expect but I was pretty sure it would be great! Kenneth Oppel cupcakes. Yeah, they had those. They had other book covers as well but most people know my obsession with Ken so obviously I picked this one! Now, what did I choose to take notes on? Buckle up, friends, because there are some AWESOME titles coming. Based on me freaking out over notebooks, I’m sure it comes as NO surprise that this is basically my most anticipated not just from Harper but in general for 2017. I’m freaking out that I have to wait until February for this. The team also brought 2 amazing guests for attendees to meet and have books signed by! M-E Girard, author of Girl Mans Up, was there to speak to us about her book and sign advance copies at the end. She’s super fun and I was SO stoked to read her book after hearing her talk. The second guest…OMG, friends. I fangirled. Hard. The Silverwing trilogy was just as large a part of my childhood as Harry Potter was. I still have my original copies and have since bought different editions as well. I’m so excited that I got to hear him talk about Every Hidden Thing and get a copy signed. I’m currently reading it and so far loving every second. This was such a great event and I can’t thank the Frenzy team enough for inviting me. 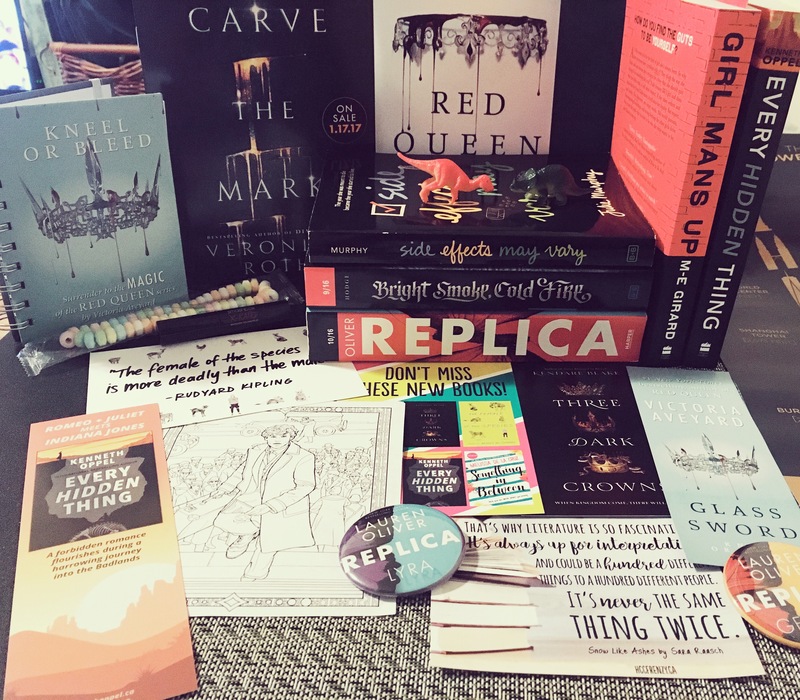 I walked away with some of my most anticipated titles and a whole list of new books to put on my radar! Next Post #TeensReadFeed: Raincoast’s Winter/Spring 2017 Preview!